"It can't only be me that kind of initially saw Ann Romney as maybe a sympathetic or neutral figure but who is increasingly seeing her as someone who is kind of insufferable because of the way she's milking this thing," Newsweek and Daily Beast columnist Michelle Goldberg said about Ann Romney writing a column about raising her children. 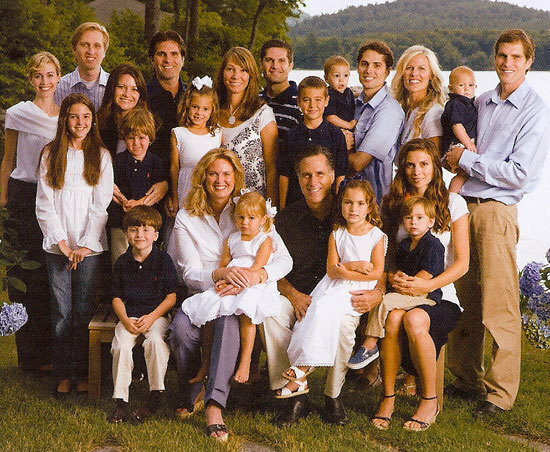 Goldberg found Ann Romney's glowing praise of motherhood in a column she wrote for USA Today to be "kind of creepy." During an appearance on MSNBC's weekend program "Up with Chris Hayes," Goldberg said the phrase "the crown of motherhood," which Ann Romney used in her column, reminded her of "authoritarian societies" that give out awards for large families. "In a lot ways, the column was totally anodyne, right? She's, you know, yes, motherhood is beautiful. I found that phrase, 'the crown of motherhood' really kind of creepy. Not just because of it's somewhat — you know, it's kind of really authoritarian societies that give out like a Cross of Motherhood. They give out awards for big families," Goldberg said on the program's panel. "You know, Stalin did it, Hitler did it," she said. The Obama Administration and its adjuncts in the press are promoting the meme of a supposed GOP "war on women." But, as has often been said, in the war between the sexes, there will never be a final victory because there is too much fraternizing with the enemy. Instead, just as real wars are largely fought between men, what we see here is mostly status striving among women. Ann Romney's life course (fell in love in high school with a handsome, smart boy from a good family who turned out to a good husband and a real catch, over 40 years of marriage so far, a career of homemaking, five children, 18 grandchildren) drives a lot of women crazy with resentment. Women aren't all that good at tolerance toward other women, due to their relatively higher levels of conformism. A typical woman tends to want to do what other women want to do, and want other women to do what she wants to do.